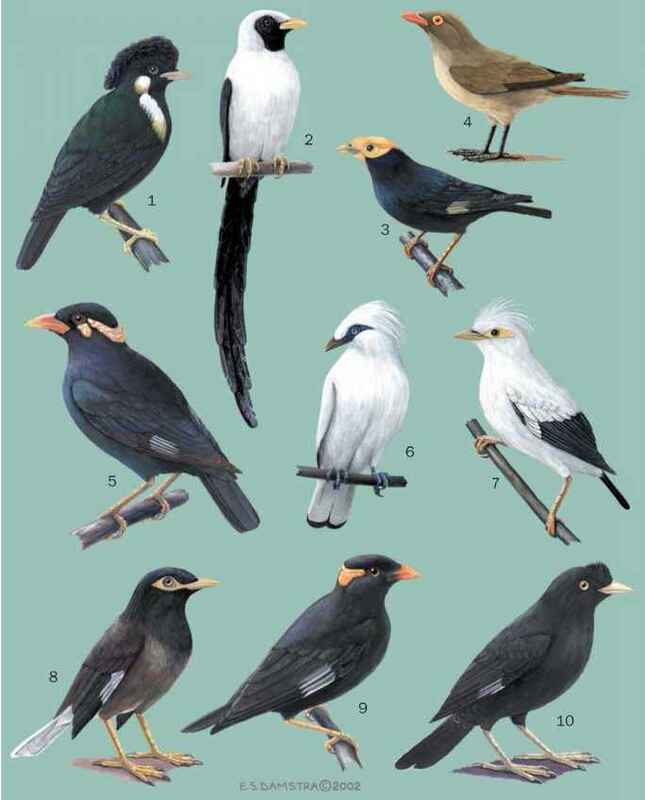 English: Saddleback; French: Creadion rounoir; German: Sattelvogel; Spanish: Tieke. New Zealand. There are two subspecies, Philesturnus carunculatus occurring on North Island (P. c. rufusater) and South Island (P. c. carunculatus). Middle and lower layers of native, temperate forest, usually on or near the ground. Actively walks and hops on the ground and among branches, but is a weak flier. It generally occurs as non-migratory pairs that defend a breeding territory, or as unpaired birds. Males have a repertoire of melodious calls used during mating and to proclaim their territory. Probes in dead wood and leaf litter to find its prey of insects and other invertebrates, and also eats fruits. Builds a cup-shaped nest of sticks on the ground or low in a shrub. Lays two to three eggs. Extinct on the mainland of North and South Island. Until recently, the North Island tieke only survived on Hen Island and the South Island subspecies on three small islands off Stewart Island. However, re-introductions to other suitable, small islands have been made, and it now occurs on about 20 islands. The tieke has suffered from the clearing of it habitat of native forest, and from the debilitating effects of introduced mammalian predators. It is listed Near Threatened by the IUCN. This means that its present non-threatened status can only be maintained through ongoing conservation efforts to enhance its surviving populations and maintain its habitat. According to conservation biologists, the population of the South Island tieke in the year 2000 was only about 650 individuals, and there were 2,000 individuals of the North Island subspecies. Active conservation management includes the establishment of new breeding populations on islands having suitable habitat. As of 2000, the North Island tieke was resident on nine relatively large islands (total of 17,000 acres or 7,000 hectares) and its prospects for survival were relatively favorable. 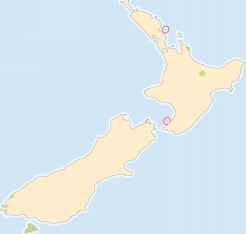 The South Island subspecies was on 11 smaller islands (1,250 acres or 500 ha) and it needs translocation to additional predator-free islands to recover to a safer abundance.